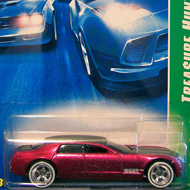 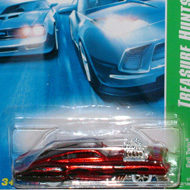 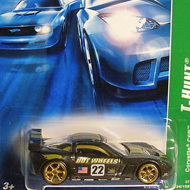 The 12 vehicles from the 2007 super set are upgraded version of the regular set and can have premium paint and wheels. 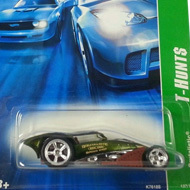 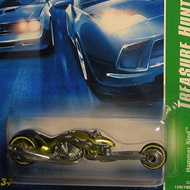 They can be identified by a card with “TREA$URE HUNT$” and the vehicle’s name in a vertical green stripe. 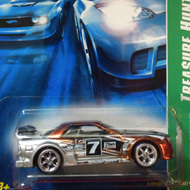 7/12 from the 2007 Super Treasure Hunt series. 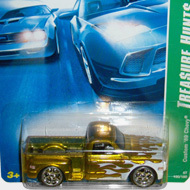 The Brutalistic features olive green Spectraflame paint with flames on the sides and top…. 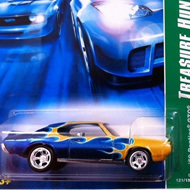 8/12 from the 2007 Super Treasure Hunt series. 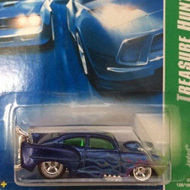 The Jaded has blue Spectraflame paint emblazoned with green, purple, and light blue flames…. 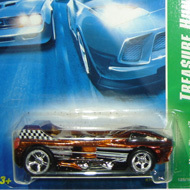 9/12 from the 2007 Super Treasure Hunt series. 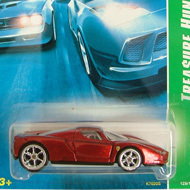 The Enzo has red Spectraflame paint with Ferrari logos on the sides and hood….